Last week I shared with you my EPP result from my trip to Cornwall and this week I I'd like to share the output from my way back. 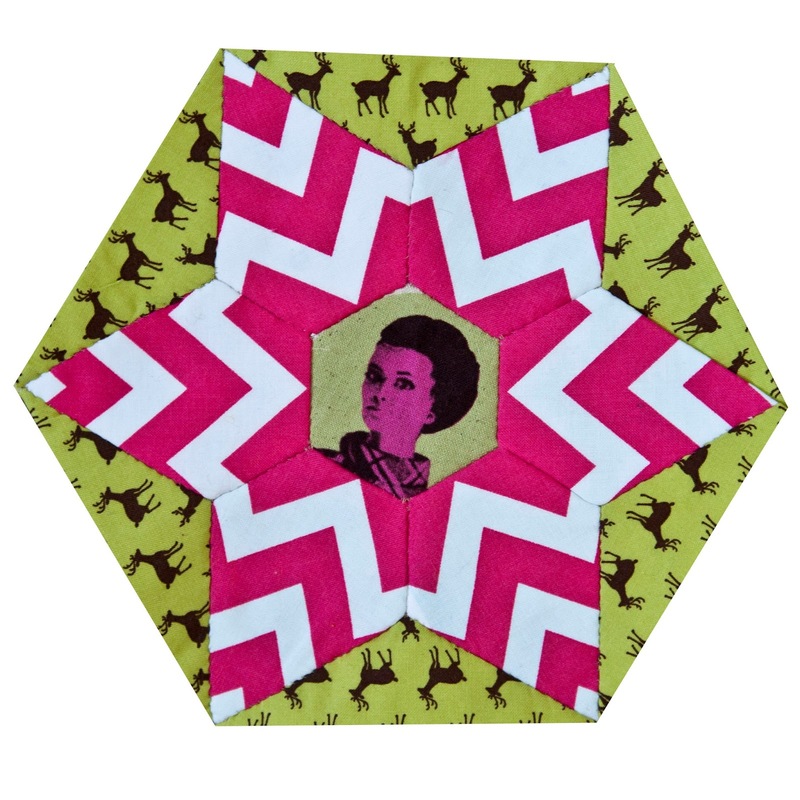 This giant hexagon includes a bit of 'Vintage Ladies' topped with some 'Oh Deer' from Moda and seasoned with a good smattering of chevron. Apart from the Vintage Lady, the chevron was also fussy cut. The first post to this traveling project can be found here. Great fussiness! Keep travelling - wouldn't want you to slow down! Those chevrons are beautiful. Every matched seam is so perfect. Heh! Love it! She looks so scandalized.